Sarah Huckabee Sanders tweeted a picture of a chocolate pecan pie set against a stark white background and claimed she baked the dessert herself, something a lot of people on Twitter are having a hard time believing. 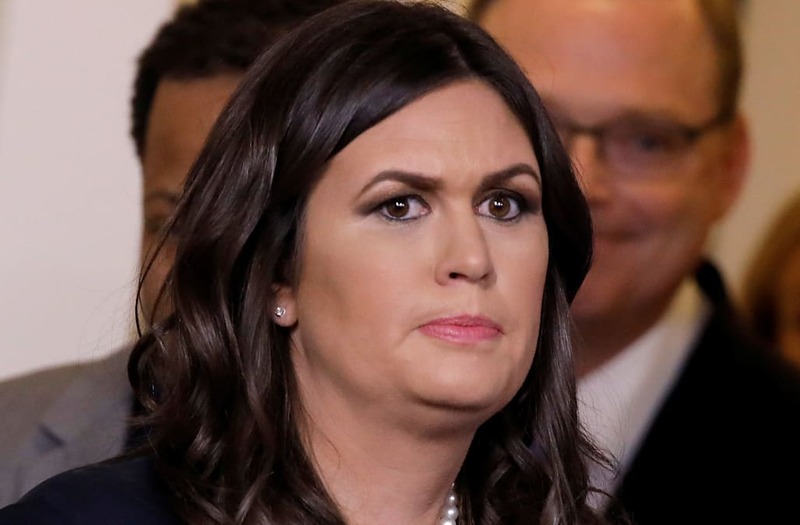 Sanders admitted in her tweet that she doesn't cook often "these days," likely referring to her job as the White House Press Secretary, but many seem to think that she didn't cook on Thursday either. "I don't cook much these days, but managed this Chocolate Pecan Pie for Thanksgiving at the family farm!" the tweet reads. The alleged homemade dessert isn't the first holiday treat to spark pie-gate conspiracy theories. On Thanksgiving 2015, Khloe Kardashian's three pies were revealed as store-bought sweets by the actual baker herself. Kardashian's Instagram picture of the pies and other baked goods caught the chef's eye and ticked her off. "When I saw the pies on her table I thought, 'She has to be kidding me,'" Sweet Lady Jane bakery owner Jane Lockhart told the Daily News. And Sanders' critics seem to think she and Kardashian are one and the same. April Ryan CNN questions Sarah Sanders about a pecan pie. And CNN pays this woman a salary?